NCP Nursing Care Plans for Croup. A severe inflammation and obstruction of the upper airway, croup can occur as acute laryngotracheobronchitis, laryngitis, and acute spasmodic laryngitis. It must always be distinguished from epiglottitis. Croup is a childhood disease affecting boys more commonly than girls typically between age 3 months and 3 years that usually occurs during the winter. Croup usually occurs in the winter as acute laryngotracheobronchitis, laryngitis, or acute spasmodic laryngitis. It must be distinguished from epiglottiditis. Usually mild and self-limiting, acute laryngotracheobronchitis appears mostly in children ages 3 months to 3 years. 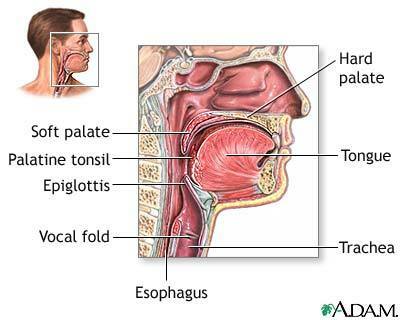 Acute spasmodic laryngitis affects children between ages 1 and 3, particularly those with allergies and a family history of croup. Overall, up to 15% of patients have a family history of croup. Recovery is usually complete. Airway obstruction, respiratory failure, and dehydration are complications of croup. Latent complications are ear infection and pneumonia. Recent upper respiratory tract infection preceding croup. • Auscultation may disclose inspiratory stridor and diminished breath sounds. These signs and symptoms may last for only a few hours, or they may persist for 1 to 2 days. • In laryngotracheobronchitis, the patient may complain of fever and breathing problems that occur more often at night. Typically, the child becomes frightened because he can't breathe out (because inflammation causes edema in the bronchi and bronchioles). Patient and family will use available support systems to assist with coping. Patient and family will verbalize fears and concerns. The patient's temperature will be within normal range. If the patient is hospitalized, advise the parents that he may be placed in a cool-mist tent to provide high humidity. Explain that the hospitalized child may require hydration with I.V. fluids if he can't be hydrated orally. Warn parents that ear infections and pneumonia may complicate croup. Urge the parents to seek immediate medical attention if the patient has an earache, productive cough, high fever, or increased shortness of breath.